Maryland has some of the toughest DUI laws in the nation, with penalties that can cost you your freedom and substantial sums of money. Even after your sentence has been served, a conviction can have a long-term negative effect on your personal relationships, employment opportunities and financial well-being. LeViness, Tolzman & Hamilton has been fighting for clients facing criminal charges in Baltimore since 1980. Our legal team will develop an effective defense tailored to achieve the best possible outcome in your case. If it is in your best interest, we will negotiate with prosecutors for a fair sentence with minimum jail time or seek acquittal of your charges at trial. In Maryland, a driver with a blood-alcohol concentration (BAC) of .08 percent or higher is considered legally impaired. Your BAC is typically measured by a Breathalyzer test, which you preemptively agreed to submit to at the time you applied for your driver license. If you refuse to submit to the test, you are subject to automatic license suspension. However, your refusal can also help you avoid giving damaging evidence to the prosecution. The Breathalyzer machine was not recently calibrated. The officer did not correctly administer the test or was not adequately trained on the equipment. The test results do not reflect your condition at the time you were driving. The test itself is flawed. The prosecution may also rely on other evidence to prove that you were impaired, including video and police testimony about your driving behavior, your appearance and your field sobriety test results. Our lawyers aggressively challenge the prosecution’s evidence to generate reasonable doubt. For example, a medical condition or stiletto heels might have caused you to stagger or lose your balance. Most DUI cases are charged as misdemeanors in Maryland. For a first-time DUI conviction, penalties include incarceration, probation, license suspension and fines. A mandatory minimum jail term applies to a second- or third-time DUI conviction. The charge is typically upgraded to a felony for repeat DUIs or the existence of aggravating factors, including an accident with serious or fatal injuries. To learn about your rights and options after a DUI arrest, call Maryland DUI defense lawyers at LeViness, Tolzman & Hamilton at 800-547-4LAW (4529) or contact our firm online. Your initial consultation is free. 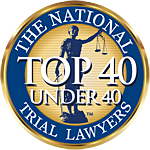 Our Baltimore law firm represents clients throughout Maryland.